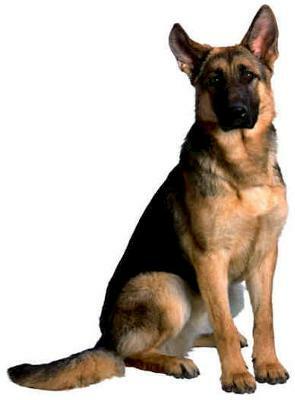 My German Shepherd puppy aggressively barks at strangers in public or even obedience class. Hello, I have 6 month old GSD. He is a great dog, except for one problem. When I take him in public he barks at strangers. People will come up to pet him (which he doesnt seem to mind) but as soon as they back away he starts to bark very aggressivly. He even has lunged a couple of times. This has even happened in his obedience class. I dont think he has ever intended to bite, but this is still something I want to be able to correct. I want to be able to have him around people in public with out having to worry. My trainer says that it is a breed trait and it is only because he is so young. (petsmart trainer) Any advice would be much appreciated. 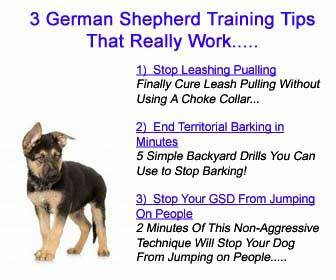 First of all I would have to disagree with the trainer about the barking like this being a breed trait. However it is very important that you find the reason for this behavior while the GSD puppy is young and still fairly manageable. There is probably something happening that the puppy is picking up on which is feeding this behavior that you're not even aware of - such as you being nervous or uncomfortable when strangers come to meet him. Perhaps he's picking up on this and "protecting" you by scaring the strangers away. It's really hard to say without seeing the behavior happening in real time but that's what I would guess based on your description. Your behaviors and emotions often can "pass down the lead" where your dog picks them up. So if you're nervous, scared or upset oftentimes your dog will pick up on that - maybe without your actually being aware of your own emotional behavior - and then they act out based on what they think they should do. I would ask your trainer for some suggestions on things you can do - maybe do extra "meetups" with strangers for practice outside of class with his/her guidance and help - and if that isn't possible I would definitely find a new trainer to help you ASAP! Socialize, socialize, socialize. I can't overstate this but get good help to help teach you both the best way to do this safely. And if you can't find a trainer in your area, then maybe you'll need to find help online. I'll list a good course for you below in you decide to go that route.